Cecile contacted the Pretty in Stains team with such an exiting idea. We handpainting the watercolour background textures which were incorporated on all of her stationery. Variant brush strokes for the name cards in hues of dirty pink and burned orange. The programmes had the two colours merging from the sides and we added a dandelion to some of the stationery. 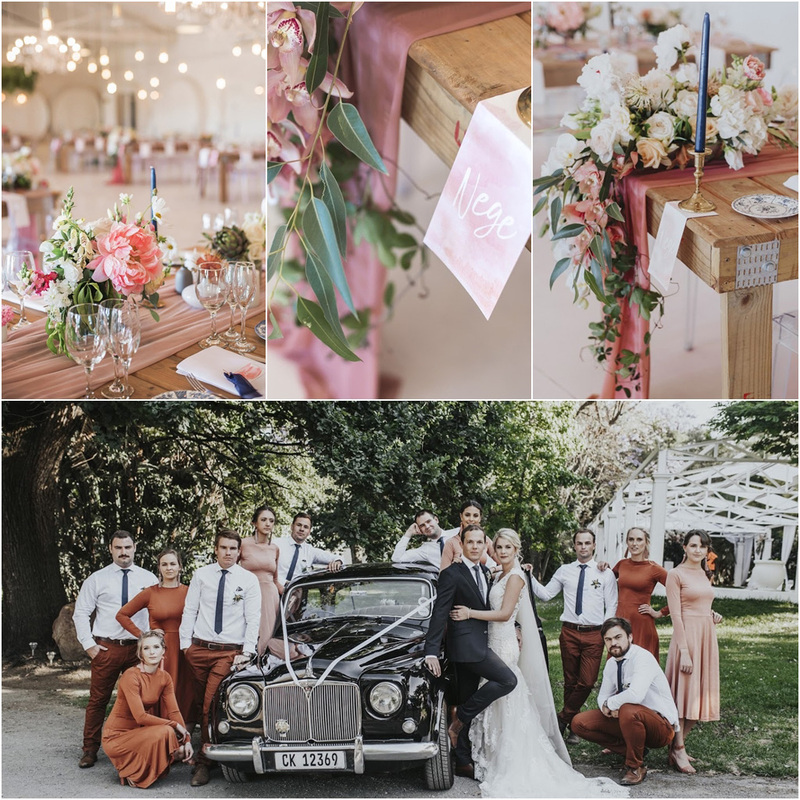 Just look at Cecile and Stefan’s wedding photographs by amazing photographer, Hanri Human and wedding flowers and decor by Wilde Flower *gasps* at the popular wedding venue, Groenrivier in Riebeeck Wes. 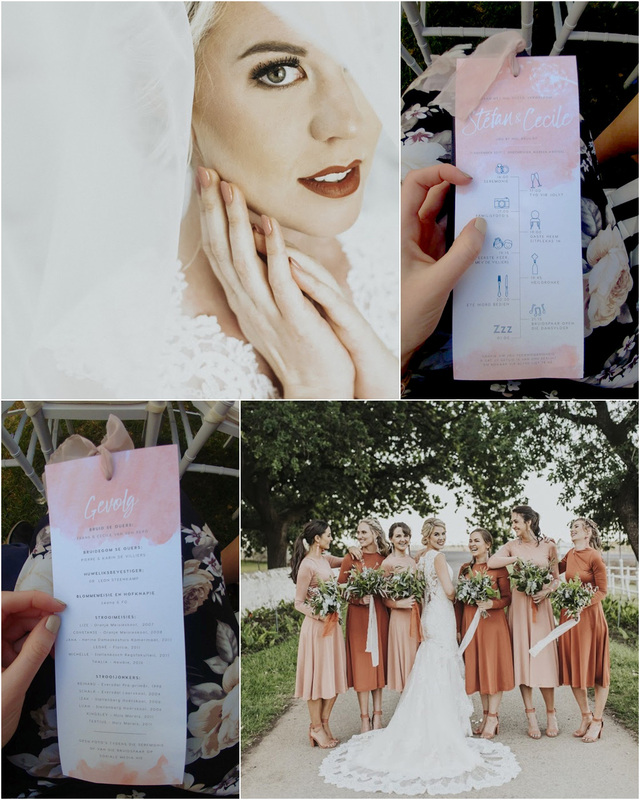 Cecile sent us this lovely, heartfelt message after the wedding and receiving emails like these makes being in the wedding industry worthwhile. Ek het soveel waardering vir kreatiewe mense soos jy, want ek besef net al hoe meer hoeveel tyd en moeite in jou werk ingaan. 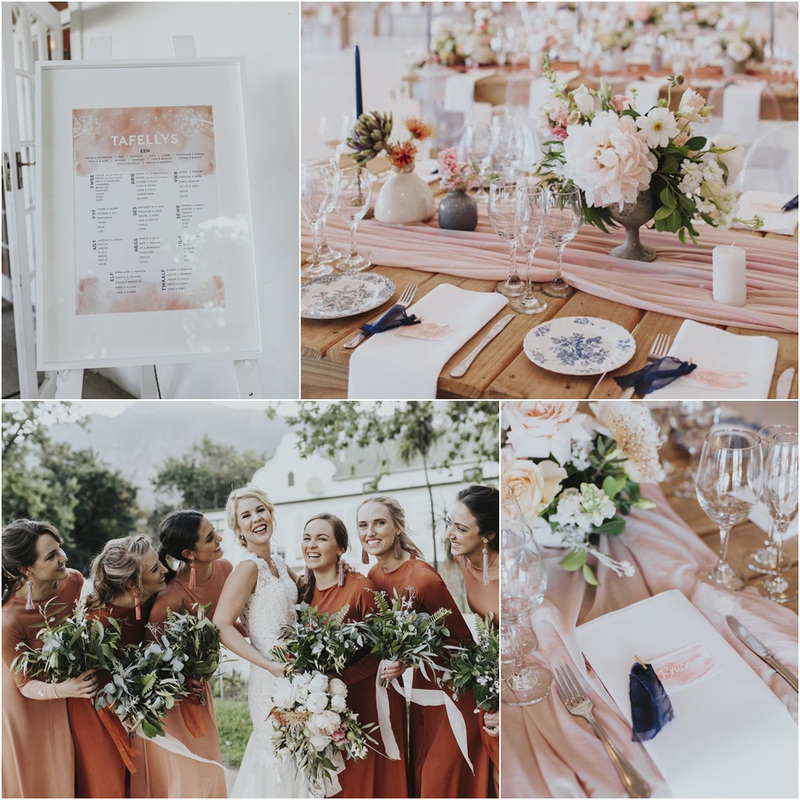 Ek wou net vir jou ‘n paar fototjies stuur om te wys hoe ongelooflik mooi jou stationery op ons troue gelyk het! BAIE dankie vir al jou moeite en dat jy dit alles met soveel liefde gedoen het!